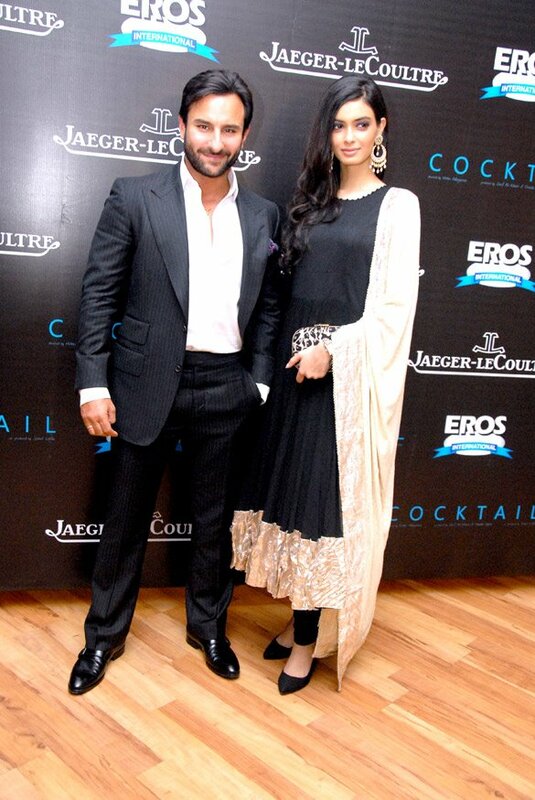 Saif Ali Khan proves once again as to why he is said to be the best dressed men in the county. Two-button, peaked lapel suit with impeciable tailoring. I love the little details in the outfit like the ticket pocket on the jacket and printed silk pocket square. Diana Penty is wearing an Anamika Khanna anarkali with really heavy "balis."